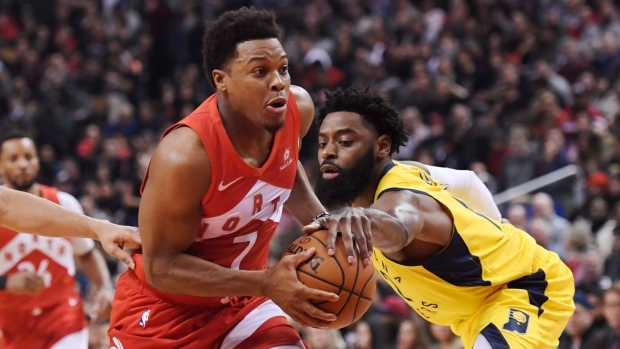 Toronto Raptors guard Kyle Lowry has earned his fifth consecutive NBA all-star selection, joining teammate Kawhi Leonard. Lowry was among the 14 players selected Thursday night by the league's head coaches as reserves for the 68th NBA all-star game on Feb. 17 in Charlotte. He becomes the second player - after Chauncey Billups - to be named to at least five all-star teams after not being selected in his first eight seasons in the league. Leonard had already been voted in as a starter for the game. Joining Lowry in the Eastern Conference pool of reserves are Milwaukee Bucks forward Khris Middleton, Philadelphia 76ers guard-forward Ben Simmons, Orlando Magic centre Nikola Vucevic, Washington Wizards guard Bradley Beal, Detroit Pistons forward Blake Griffin and Indiana Pacers guard Victor Oladipo, who won't play after rupturing his quadriceps tendon earlier this month. The Western Conference pool of reserves includes, Oklahoma City guard Russell Westbrook, San Antonio Spurs forward LaMarcus Aldridge, New Orleans Pelicans forward Anthony Davis, Denver Nuggets center Nikola Jokic, Portland Trail Blazers guard Damian Lillard, Golden State Warriors guard Klay Thompson and Minnesota Timberwolves center Karl-Anthony Towns. Team captains LeBron James of the Los Angeles Lakers and Giannis Antetokounmpo of the Bucks will draft the NBA All-Star Game rosters from the pool of players voted as starters and reserves in each conference. The team rosters will be revealed on Feb. 7.